Normally I'm not the biggest fan ("and thank god for that!" -- The Husband), but right now I'm in lust with this shawl/scarf. 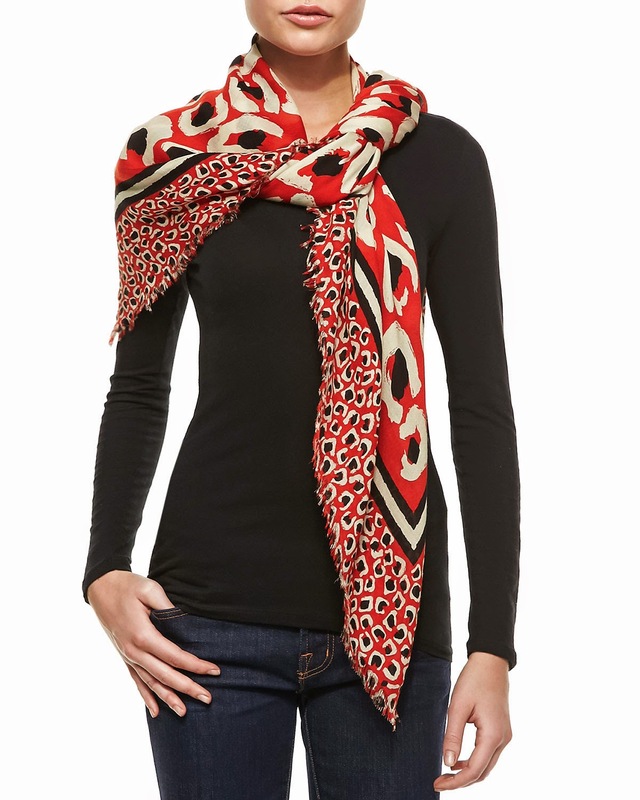 The painted orange-red leopard pattern is kind of DVF-ish, which is probably why I like it ("so buy a DVF, please!" -- The Husband, again). It's just fabulous and I think how lovely and lively it would look with various winter coats and dresses. According to the Bergdorf Goodman website, the fabric is a modal/acrylic/silk blend, which is somewhat disappointing (I hoped for a warm silk/cashmere knit), but whatever. It's gorgeous. $695 from Bergdorf and Neiman Marcus.